Swag by Yoshita Dhawan ARE YOU A VENDOR? 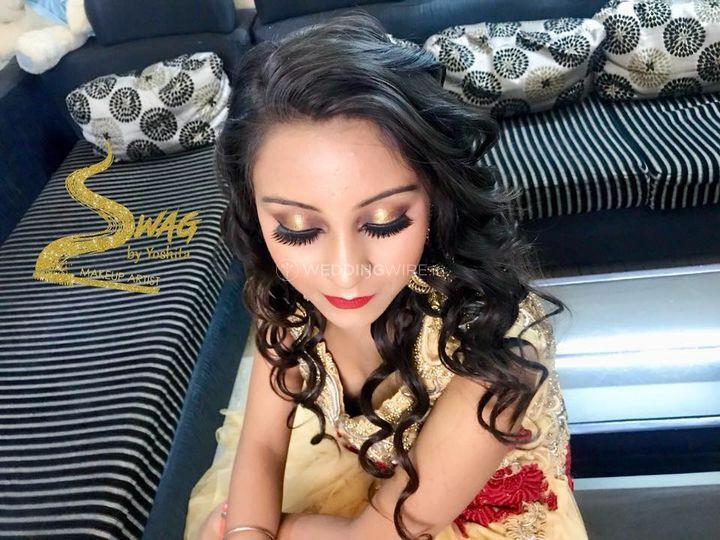 Swag by Yoshita Dhawan is a makeup service based in Pitampura, North Delhi. It is a one-stop solution for all your requirements to get ready for your big day. It is an innate desire of every girl to look her best for the wedding functions and for this, you need a good and experienced makeup artist. 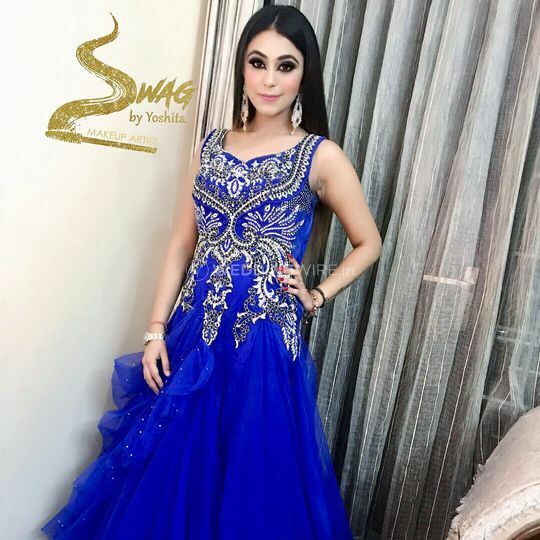 If you are looking for one such makeover artist to give you a dream-like makeover then, Swag by Yoshita Dhawan is the choice that you should definitely make. Yoshita Dhawan is a trained makeup artist and has been creating stunning makeovers since 2017. 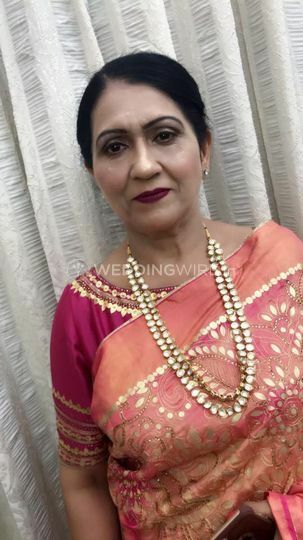 Be it any pre-wedding, wedding or post-wedding function, the bride needs to look unique and marvellous for all the ceremonies, and Yoshita Dhawan knows exactly how to do this, by giving you a makeover which suits your sense of style and reflects who you are. She is also ready to travel within the city and outstations for your smooth and convenient makeover experience. She enhances your natural features, like your eyes, by highlighting them or by contouring your face. She will surely make you look perfect in your bridal look. 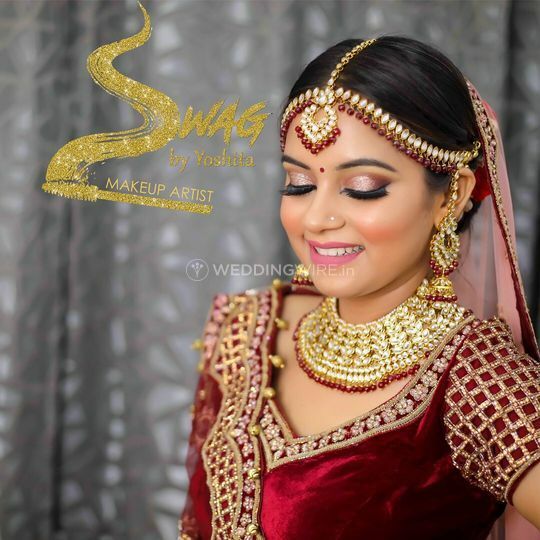 Swag by Yoshita Dhawan also provides makeup trials, on a chargeable basis, to help you finalise the bridal look for your wedding and all the other related ceremonies. 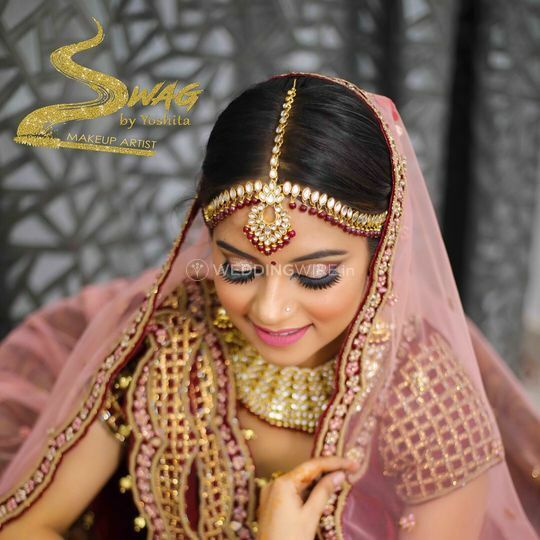 She uses high-end makeup brands like Anastasia, Bobbi Brown, HUDA, MAC, Kiko, Kryola, Nars, Urban Decay, and L'Oreal for a flawless and radiant finish to your bridal look. 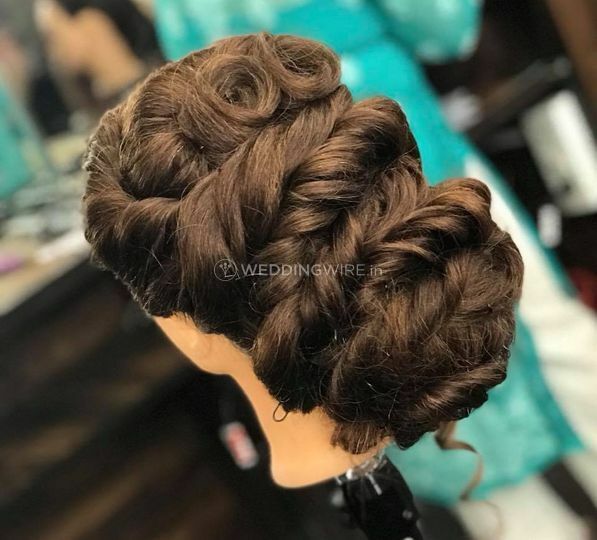 She will ensure to deliver maximum customer satisfaction with her high-quality makeup and hair services and by giving you a makeover of your choice.